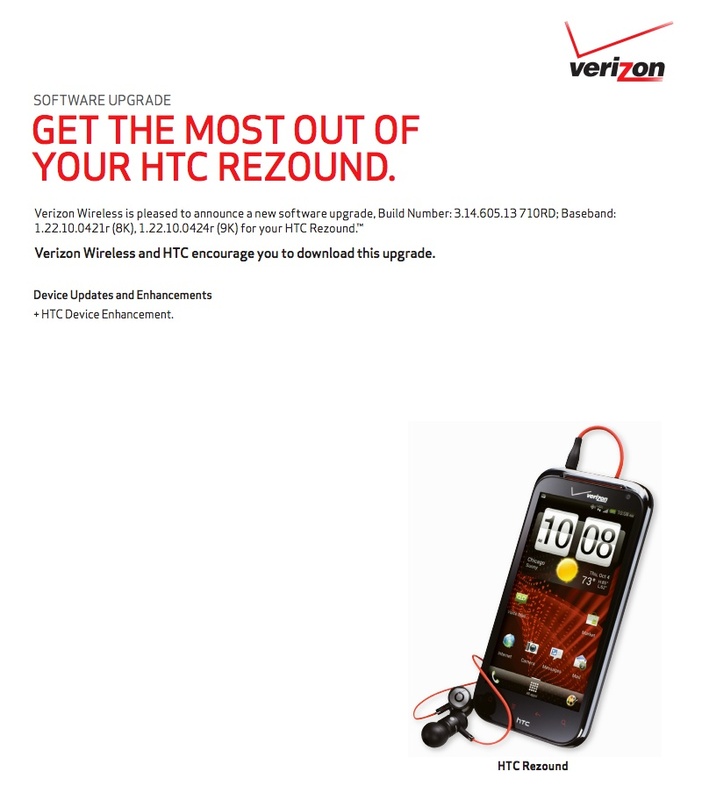 Both the HTC Rezound and DROID Incredible 2 received approval on new updates from Verizon this morning, though it’s not much to talk about from what we can tell. While the Incredible still needs Ice Cream Sandwich and the Rezound could use a dose of Jelly Bean, neither will see them with this update. All the update includes is an “HTC Device Enhancement.” We have no idea what that means, but will do our best to figure it out. 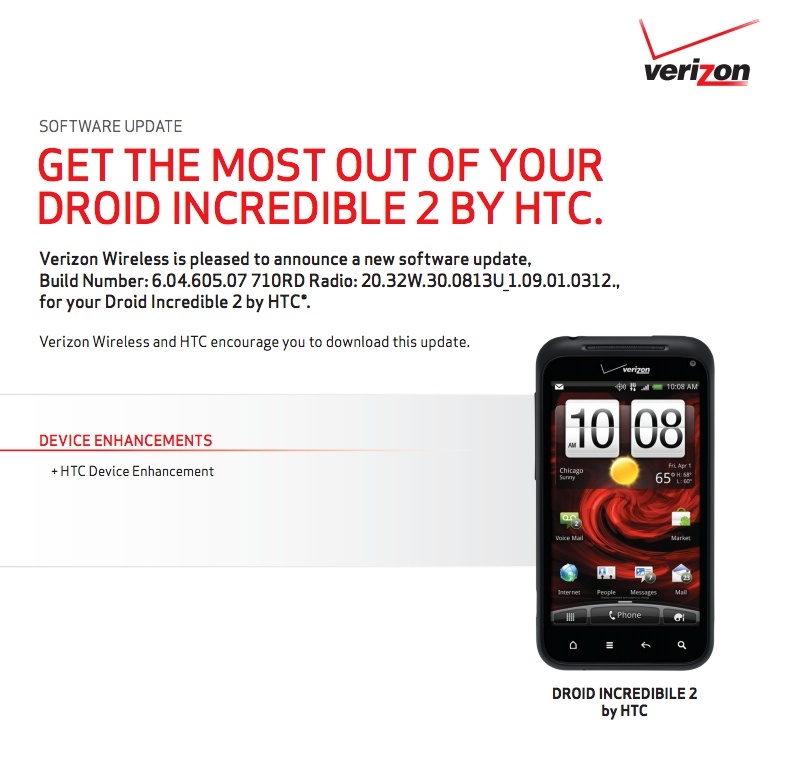 The Incredible 2 update is 32.88MB in size and will bring the phone up to build 6.04.605.07. The Rezound update is 6.9MB and will bring the phone up to build 3.14.605.13. 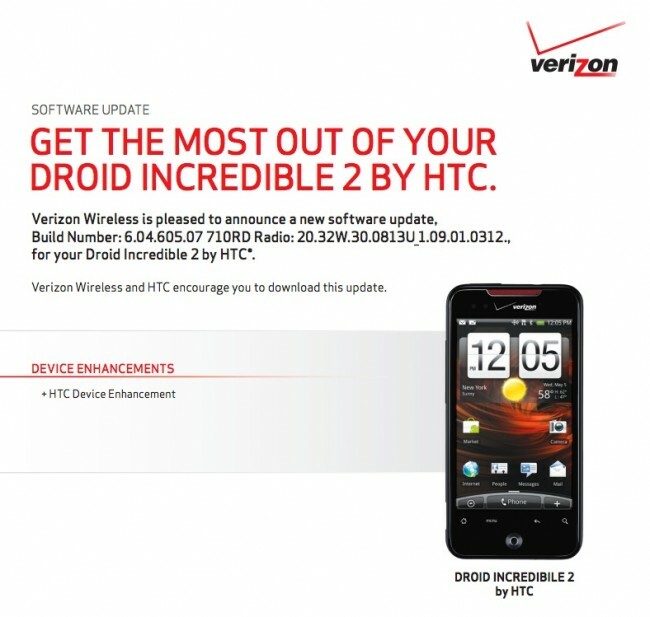 Update: Verizon re-created the Incredible 2 document with the correct phone.